This grit impregnated brush is used for scrubbing heavily soiled floors or stripping finishes from hard surfaces. Effectively cleans wide grout lines. 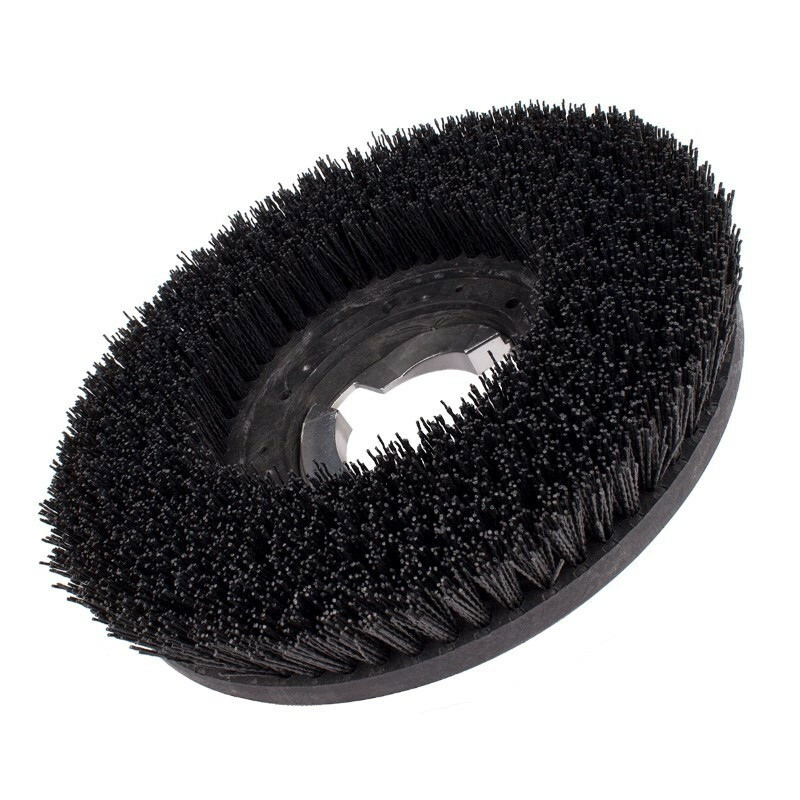 80 grit silicone carbide impregnated, 1.75" long nylon bristles are self-replenishing as brush wears, offering unmatched value that outlasts floor pads over 100 to one! That translates directly into time and cost savings. For an everyday medium duty scrub brush, take a look at our 15 inch nylon brush. Both of these brushes fit directly onto one of our 15 inch floor scrubber buffers.